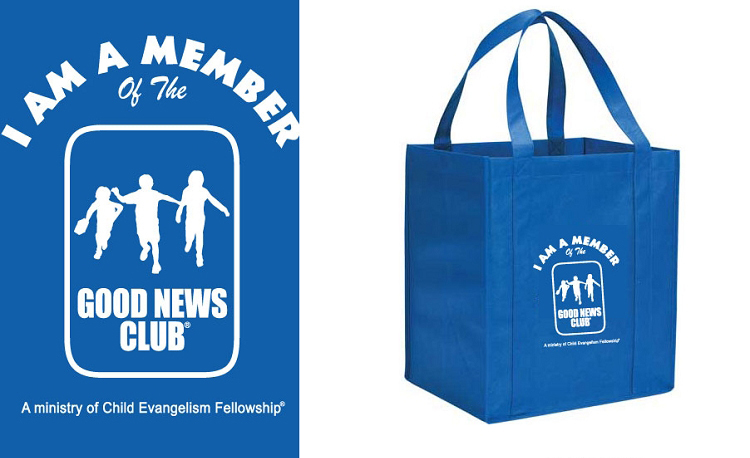 Royal Blue Christian Tote Bag with "I Am a Member of the Good News Club" in White Print. Tote bag with bottom to help maintain square shape. Dimensions 13" x 9-1/2" x 15" with double reinforced handles for easy carry.